It's puzzling: Colorado-grown cantaloupes killed more innocents in 2011 than did the recent murderous shooting-spree in a Colorado movie theater, yet no one seems to give a damn. Each year, preventable foodborne illness strikes 48 million Americans, hospitalizing a hundred thousand and killing thousands. Each year! 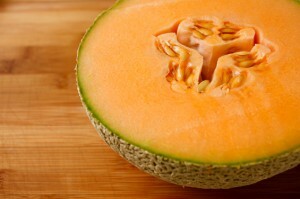 In 2011, 36 people died because they ate cantaloupe grown at Jensen Farms in Holly, Colorado. The melons were bought at WalMart, Krogers and other trusted neighborhood grocers.
" The 2011 listeriosis outbreak... should not have happened, and it could have been prevented, according to numerous food safety experts and federal health officials. "... the story of what happened at Jensen Farms, and why no one stopped the sale and shipments of the cantaloupes... sheds light on serious problems in the nation's fresh produce food safety net, and a voluntary system created by businesses to ensure a quality product, known as third-party audits." In all, 36 men, women and children suffered painful deaths and 146 others became quite ill because inspection procedures failed to detect poisoned cantaloupes sold in U.S. supermarkets in May, June and July 2011. These are only the deadliest foodborne illness outbreaks in the U.S. over the past four decades, since the advent of modern industrial food corporations. Inspections of the U.S. food supply have grown shoddier, despite the spike in preventable foodborne illness outbreaks. First, the Obama administration has quietly buried the much-lauded Food Safety Modernization Act, which the President signed into law in January 2011. "... the law still remains unfunded and many of the food safety rules remain hidden away in the your White House Office of Management and Budget," reports Food Safety News. "The produce safety rule should have taken effect last January, one year after Obama signed FSMA into law. It's been in limbo at OMB ever since along with other implementing regulations." The purpose of the FSMA was to mandate "sweeping improvements to the security and safety of our nation’s food supply" and was aimed at meat, poultry, seafood, eggs, juices, fruits and vegetables. Second, the Obama administration plans to dilute inspection rules for chicken slaughterhouses in an effort to streamline business regulations. Consumer Reports testing in 2009 found "that two thirds of store-bought chicken was found to be contaminated with potentially harmful bacteria," usually "pathogens like salmonella and campylobacter." "... the U.S. Department of Agriculture plans to let chicken slaughterhouses run production lines faster and with fewer federal inspectors... Under the proposal, production lines would be allowed to move 25% faster, while the government would cut by as much as 75% the number of line inspectors eyeing chicken bodies for defects before they are packaged for consumption. Third, imported food is rarely inspected. For anything. "...Just 1.3% of imported fish, vegetables, fruit and other foods are inspected — yet those government inspections regularly reveal food unfit for human consumption. Fourth, the President wants to entirely end the USDA's Microbiological Data Program, a produce-testing initiative implemented in 2001 under President George W. Bush. The $4.5 million MDP program annually tests about 15,000 sample of fruits and vegetables... cantaloupes, tomatoes, lettuce, spinach, onions, cilantro, celery and more... from 11 states. The results? First, protest protest protest. Tell all of your elected state and federal representatives exactly how you feel about the low, low USDA and FDA standards and inspections requirements for our nation's food supply. Tell the White House, too. Gun control advocates have raised a loud ruckus since the armed Colorado madman mowed down 12 Batman moviegoers. The pressure has been so steep that President Obama was forced to speak out yesterday in favor of stronger gun control laws... forced to break his long, politically-motivated silence on gun control. Far more Americans die or become seriously ill from food poisoning than from gun violence. Where are the protests? Why does no one give a damn? Second, know your farmer. This is crucial, friends. Buy produce, meats and dairy products from a community-supported agriculture program (CSA) whenever possible, rather than from corporate-owned grocery stores.Most CSAs deliver produce weekly, and at remarkably low prices. I use and highly recommend Abundant Harvest, a consortium of small family-farms in California that delivers organic fruits and veggies (at prices much lower than non-organic fare at grocery stores). Abundant Harvest delivers throughout the state. 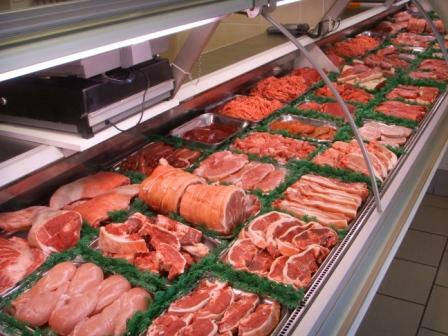 Meats, eggs, and dairy products can be added to any order. Looking for a CSA in your area? 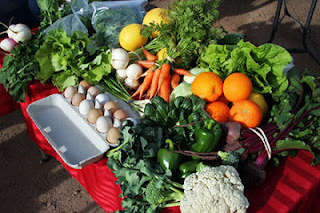 Click here to check-out Local Harvest, a nonprofit site that connects family farmers and consumers, and explains what consumers should expect when selected a CSA service. Third, eat less meat and poultry. And grow some of your own fruits and vegetables. I know, I know... this suggestion is certainly not meant for everyone. Personally, I don't make these suggestions for ethical reasons. I suggest these actions for your safety and your health. I give a damn. You should, too.